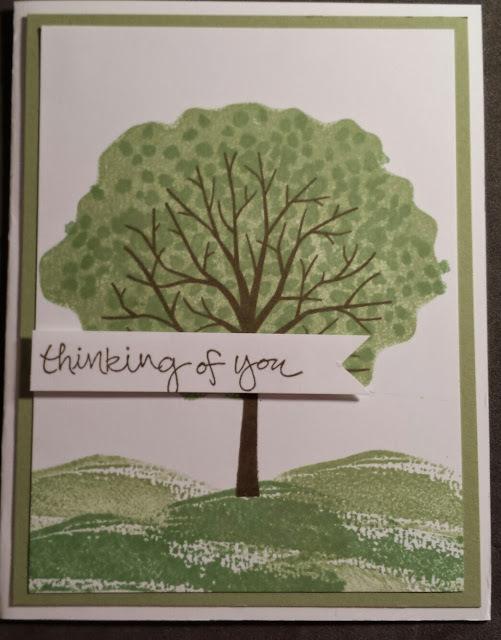 I absolutely love this beautiful stamp set, Sheltering Tree. There are so many possibilities with this set. I kept it simple using Soft Suede for the tree trunk and Wild Wasabi and Pear Pizzaz for the tree foliage and grass.